The 17th Special Meeting of the Conference of Heads of Government of the Caribbean Community (CARICOM) will be held in Trinidad on Tuesday November 4, 2014, to discuss the global virus, Ebola, as well as the Chikungunya disease, which is affecting people within the Caribbean Community. The meeting will be held at the Diplomatic Centre, St Ann’s, from 4 pm. The primary purpose of the meeting is to review action being taken regarding the current challenging public health issues facing the CARICOM region, namely the Ebola and Chik V diseases, and to agree on a way forward. In early September, the Honourable Kamla Persad-Bissessar SC, Prime Minister of Trinidad and Tobago, called for the special meeting of CARICOM to discuss the public health issues. 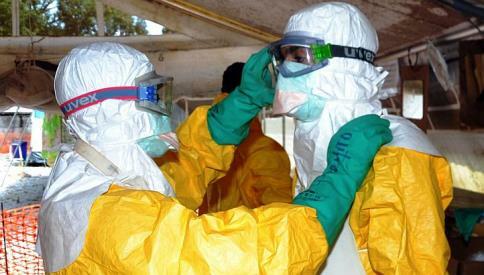 This call was made even before the United Nations discussed the Ebola disease at its 62nd General Assembly Meeting in New York in late September. Dr the Honourable Denzil Douglas, Prime Minister of St Kitts and Nevis, and Lead Head of Government for Human Resource Development, Health and HIV/AIDS, also called for discussions regarding these significant public health challenges, given the implications for the CARICOM community. Expected to attend the meeting are Ministers of Foreign Affairs and Health in the region. At the meeting on Tuesday, CARICOM Heads will also seek to arrive at a consensus with regard to the CARICOM candidate for the post of Commonwealth Secretary-General. Prime Minister Persad-Bissessar has agreed to host the meeting of CARICOM leaders at the Diplomatic Centre, St Ann’s.